Hammer Down is a cartoon book by artist Bruce Outridge. The 100 page book is filled with published and non-published cartoons relating to the trucking industry. This humorous look at the industry comes from the 25 years of experience Bruce gained as a professional driver. As an author, cartoonist, and columnist still working in the industry he still has a chance to see things from a driver’s point of view. When that driver is a cartoonist is when things really take an interesting twist. This book is a perfect gift for the driver in your family or anyone who understands the workings of the transportation industry. 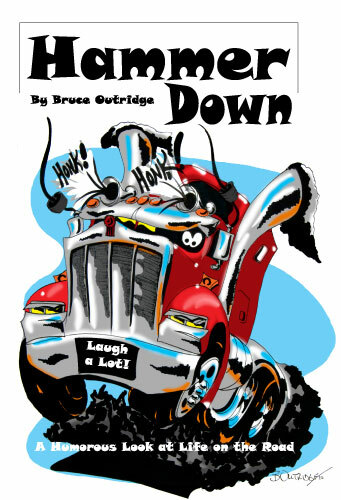 Hammer Down is published by Bruce Outridge Productions division of Outridge Enterprises Inc.